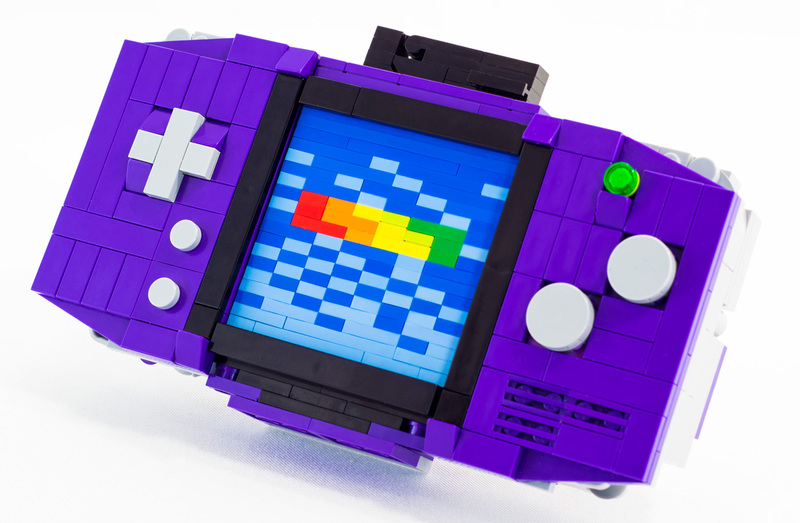 You can build a transforming Game Boy Advance transformer of your own with artist Baron von Brunk's Instructables tutorial. 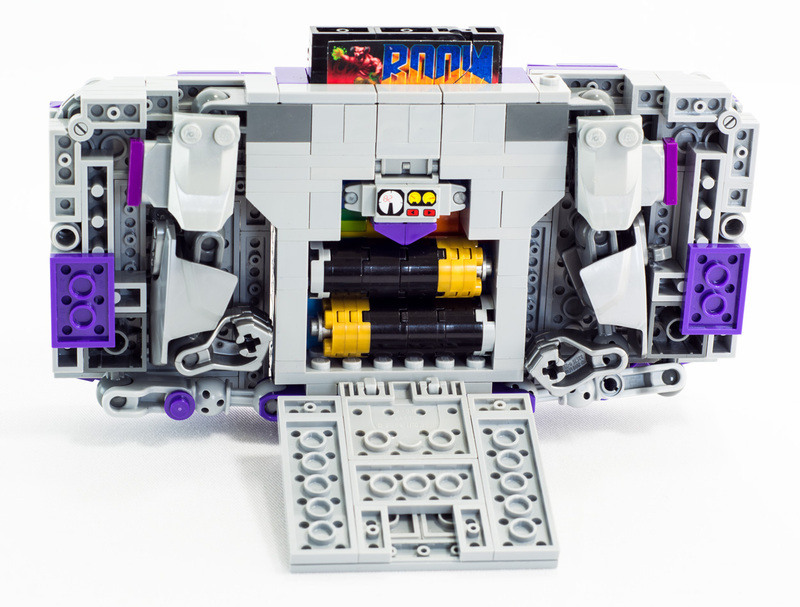 Multimedia artist Julius Brunk, also known as Baron von Brunk, built his latest LEGOformer in his most popular series - a crossover of Nintendo and Transformers. 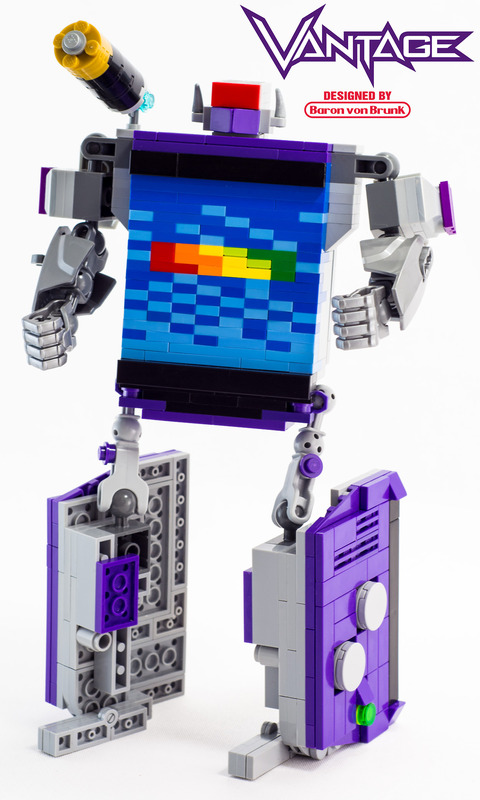 Made out of LEGOs, the robot, named "Vantage," transforms into a Nintendo Game Boy Advance. Brunk is a New York City-based artist whose projects include LEGO-related work, paintings, tattoo designs, and vector illustrations. Much of his LEGO work is available for viewing on his Tumblr. This isn't the first Nintendo/Transformer crossover robot Brunk has built. Over the past year, Brunk has created several robots, and he's even created an antagonist in the evil "Segacon Gearhead." 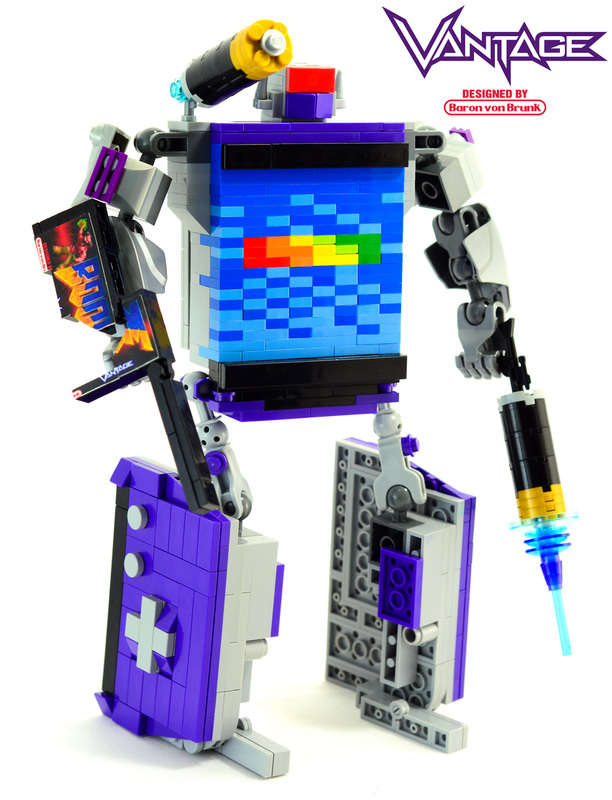 Last August he built a transforming Nintendo 64 and controller for the Instructables Toy Block summer 2013 contest. Vantage is the latest in the series and is armed with battery blasters and parody "Boom" automatic shotgun. 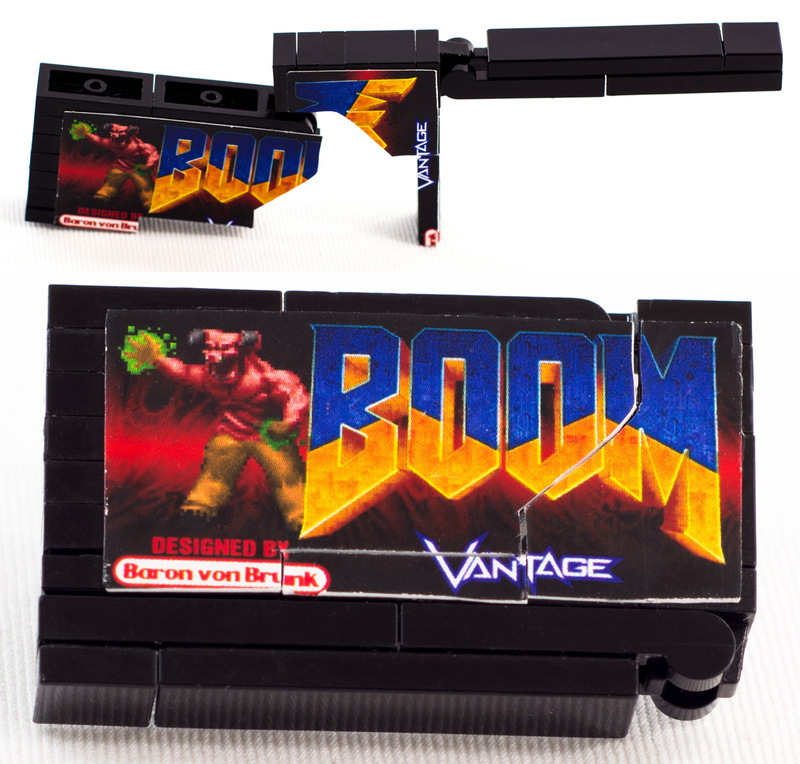 The shotgun transforms into a game cartridge renamed from Doom. "I spent several days trying to make one that looks like an actual gun as well as having the ability to be held by the robot as a weapon," Brunk said on his site. "I chose Doom because that was my favorite GBA game I played in high school back in 2002." 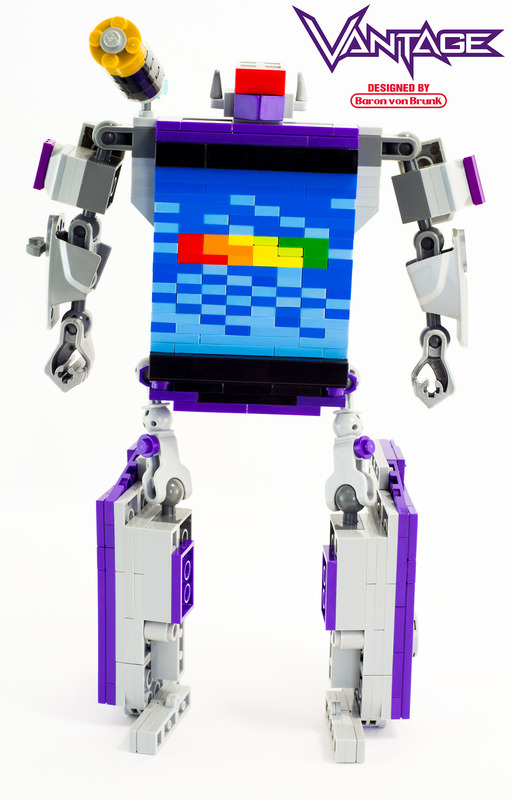 Brunk noted that this design is his first of his LEGOformers to be entirely designed on a computer; his previous designs were designed "organically" from trial-and-error rebuilds of relevant pieces. In this case, he designed Vantage before building it. Brunk released a tutorial on Instructables for any inspiring LEGO artists to build their own. 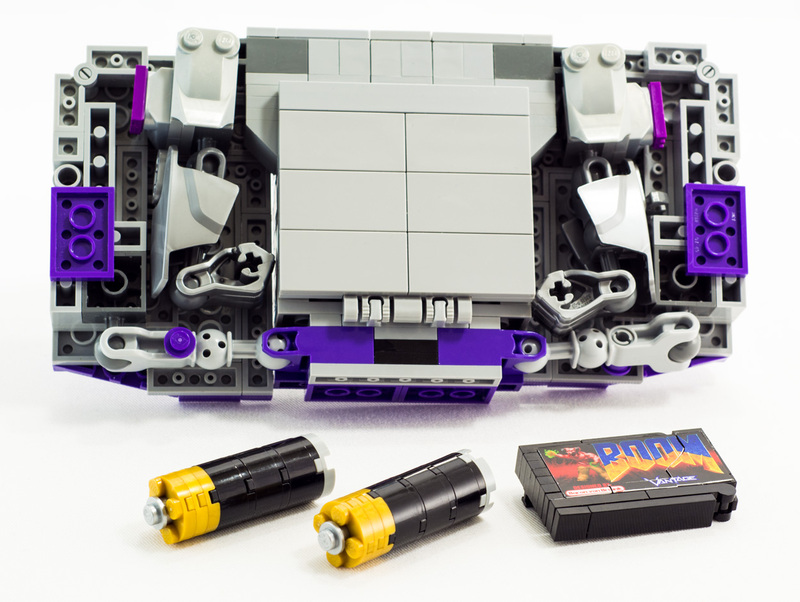 He points out that anyone planning on matching his colors for the iconic dark purple scheme will have to shell out a lot of money for those rare LEGO pieces.